High Five to our "Super Sales Team"
We focus on empowering our sales team; not just tell them they need to negotiate harder. Personal growth and skill building are the key to career development and ultimately allow the team to find new ways to exceed our clients’ expectations. 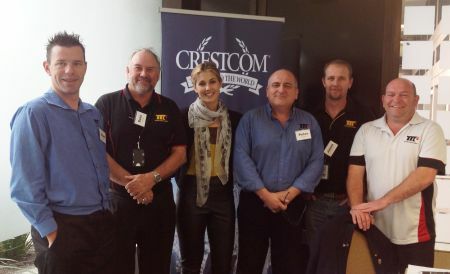 Crestcom are thought leaders in the business development, leadership & management skills development space, and has grown to become one of the training industry’s most successful and widely used management and leadership programs among Fortune magazine’s Top 100 Companies.